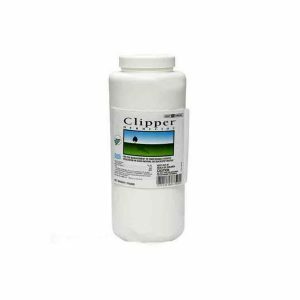 10% off AQUA DOC Blue Colorant until May 31, 2019! Sonar® A.S. will remove unwanted weeds from your lake or pond for a year or longer with a single treatment. No other aquatic herbicide on the planet is more effective on duckweed, period. 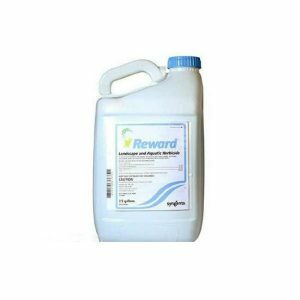 Sonar® A.S. is the most effective and cost-efficient treatment you can buy for the selective, long-term control of undesirable weeds. Now homeowners can enjoy the benefits of time-tested application methods and materials developed by SePRO scientists to reclaim lost waters in some of the largest and most environmentally sensitive lakes in the United States. SePRO is the recognized world leader in advancing the science of aquatic plant management. Trust your pond to SePRO and Sonar®. Sonar® A.S. selectively manages undesirable aquatic vegetation for a year or longer and is recommended for use in water bodies with soft or muck bottoms. Sonar® A.S., or Aqueous Solution, is easy to apply and just one application will provide season-long enjoyment of your pond. 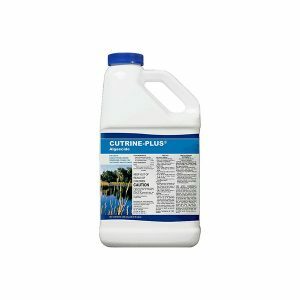 Sonar® A.S. is available for immediate uptake into the target plants and is the ideal choice in water bodies with minimal water flow and when targeting strands of floating vegetation such as duckweed. 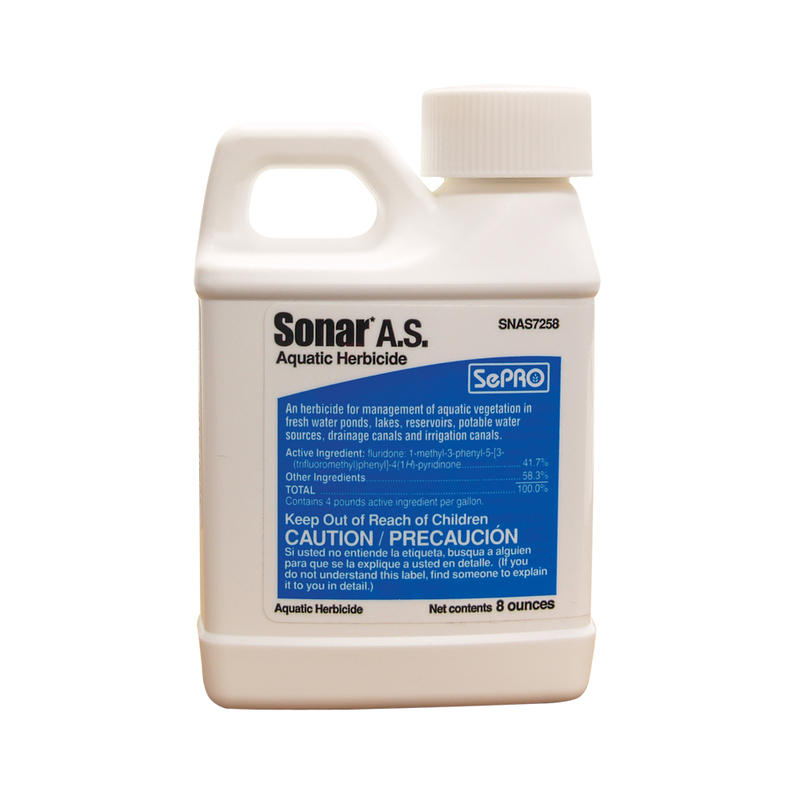 Water treated with Sonar® A.S. will not harm any wildlife in or around your pond and can be used immediately for swimming or fishing. Sonar A.S. controls stubborn aquatic nuisance weeds such as Duckweed and Watermeal. See Product Label and Safety Data Sheet below for usage directions. Use only as directed. Due to governmental restrictions, we do not ship EPA registered herbicides and algaecides to the following states: AK, CA, CT, DE, HI, NH, NJ, MA, MD, ME, OR, RI, WA, & VT. *Restricted use pesticide in Michigan and New York. 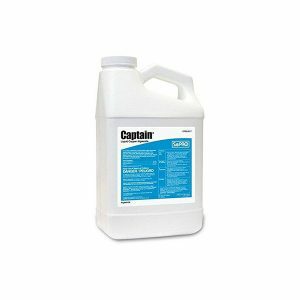 Must provide a copy of your pesticides applicators license prior to purchasing this product in Michigan or New York. © 2019 Aqua Doc®. All Rights Reserved.